From private, candlelight dinners on the pier, to reminiscing about the day’s adventures over a freshly prepared ceviche and a cold beverage at the beach bar, the culinary experience at Victoria House can be as casual or exotic as you like. 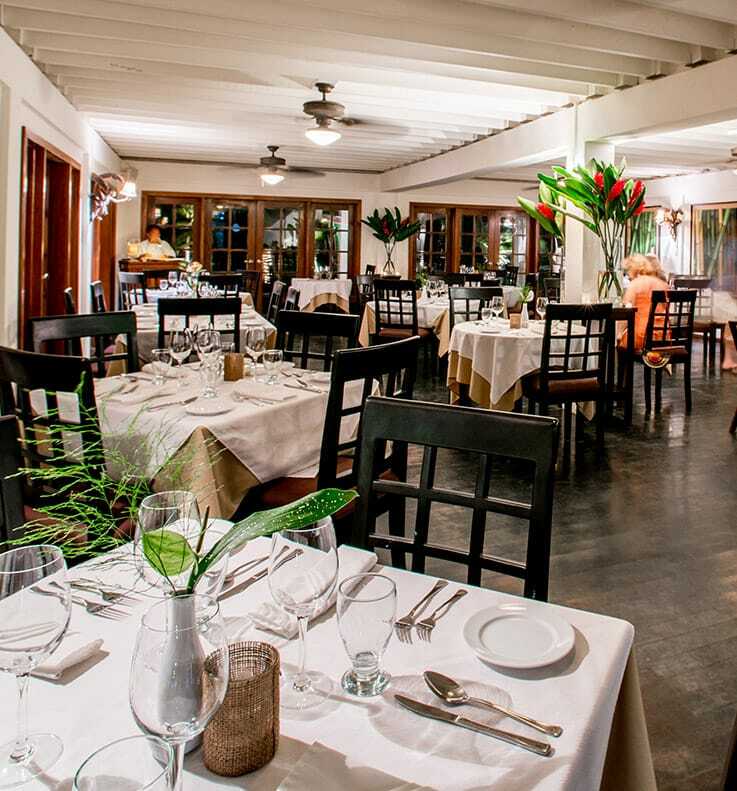 The Palmilla Restaurant is an elegant, full service restaurant that has been creating gourmet cuisine for over 20 years. 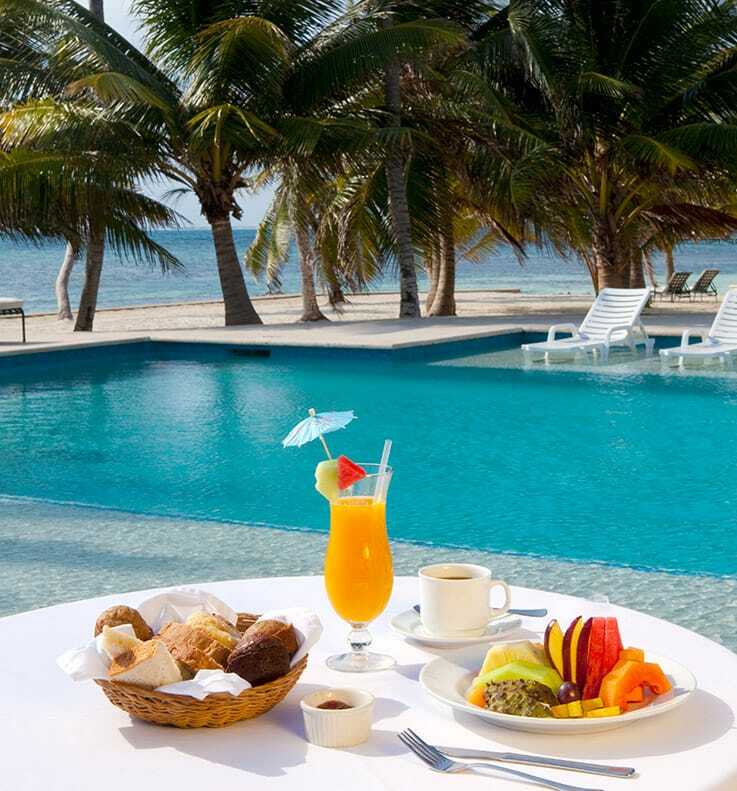 Guests can enjoy breakfast, lunch, and dinner confident that the well-seasoned team of chefs use only the finest local ingredients, with fresh, local seafood being a particular specialty. Planning to celebrate a special occasion with a romantic evening? Let our staff help you create a magical night where you’ll dine in the seclusion of our pier gazebo, or at your private, candlelit table on the beach, overlooking the Caribbean Sea and the stars above. The Poolside Patio extends from Palmilla Restaurant onto the pool deck, and is perfect for al fresco dining, serving breakfast, lunch and dinner. At lunchtime, or late into the evening, you might prefer our Admiral Nelson’s Beach Bar. 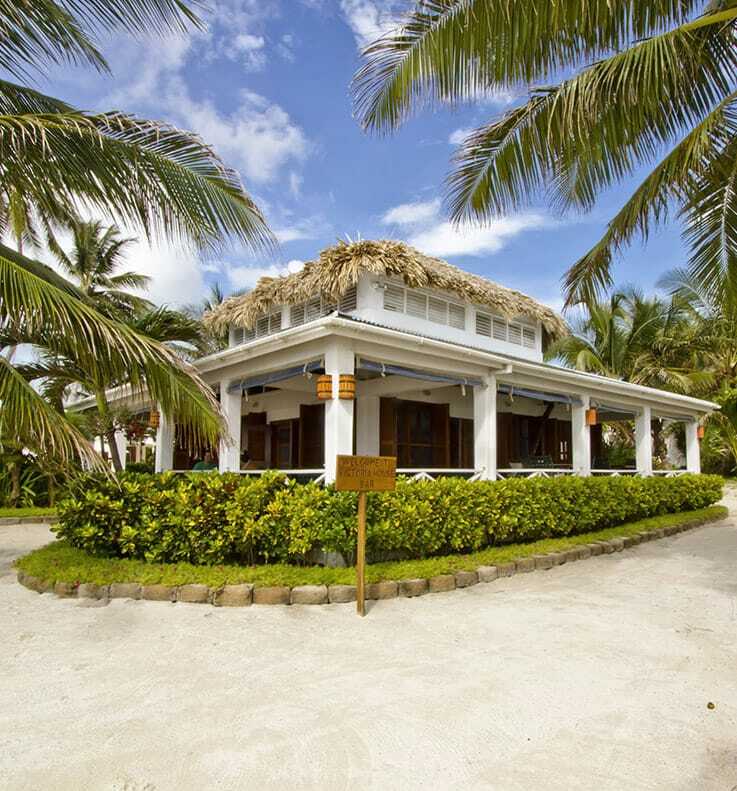 It’s a more casual and Belizean style palapa bar on the beach with great views of the Caribbean Sea. For the ultimate in convenience, be sure to ask about our meal plans, providing for fabulous à la carte dining.